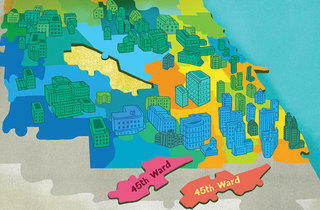 Aldermen, constituents and city departments struggle to adapt to a new map. 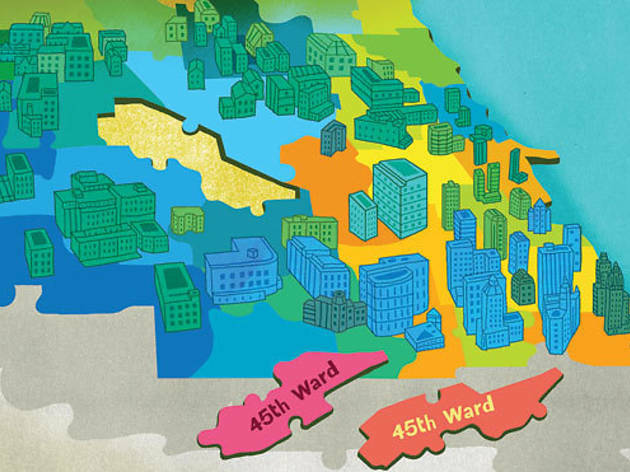 It’s been more than a year since the City Council did its decennial duty, redrawing the borders of Chicago’s 50 wards to reflect shifts in population. But many aldermen say they still don’t have a solid answer to one of the most basic questions in government: Who are my constituents? The remap ordinance, approved by a 41-8 vote in January 2012, states the new ward boundaries “shall take effect upon passage and publication.” In January of this year, the City Council’s Zoning Committee chairman, 25th Ward Ald. Danny Solis, announced the committee was officially changing over to the new map. Yet most council committees and city agencies continue to recognize the old boundaries. “The city’s 40-plus departments haven’t been given any marching orders,” says 32nd Ward Ald. Scott Waguespack. “Until then, we’re in limbo.” A particular annoyance, Waguespack says, is the Department of Transportation’s decision that, for now, aldermen can spend their annual $1.32 million in infrastructure improvement “menu money” only within their old ward boundaries. The mixed message has left a small group of council members doing double duty: Waguespack, Bob Fioretti (2nd), Rod Sawyer (6th), Toni Foulkes (15th), Nick Sposato (36th) and John Arena (45th)—all of whom voted against the remap. They’ve chosen to handle constituents who’ve been remapped into the new wards and continue to serve those drawn out. Others such as First Ward Ald. Proco “Joe” Moreno have recently embraced the new map and are referring ex-constituents to the proper ward service offices. Still others are turning away former constituents, possibly for political purposes. “Why would you want to deal with John Smith if John Smith can’t vote for you anymore?” Sposato, a veteran firefighter and rookie alderman, says of some of his colleagues’ approach. “The biggest issue is that the city’s 3-1-1 system for tracking constituent service requests is still only recognizing the old ward boundaries,” explains Owen Brugh, Arena’s chief of staff. “So if we take a constituent service request for our new area, it’s really hard to track.” Those requests range from tree trims to pothole fixes.